Off the west coast of Australia a high-stakes liquefied natural gas (LNG) industry, heavy transport helicopters and abundant wildlife meet. Flight Safety Australia looks at this volatile mix, and the implications for wildlife hazard management. For the birds, it’s been a boom decade. Off the northwestern coast of Australia the oil and gas boom of the past 10 years has led to energy companies providing many excellent roosts and perches. As far as seabirds are concerned, the fact that offshore workers and helicopters also use these platforms is immaterial. For the offshore aviation industry, the wildlife its activities have attracted is an acknowledged and ever-present challenge. The offshore oil and gas reserves of Western Australia and Northern Territory are among the richest in the world. The three largest: the Bonaparte, Browse and Carnarvon basins account for 91 per cent of Australian gas reserves. There has been massive growth in Australia’s offshore resources industry in the past 10 years, but recent challenging economic conditions, oversupply and falling oil prices, have slowed the pace of that growth, evidenced by Woodside’s March decision to shelve its proposed floating LNG facility in the Browse basin. However, this was offset by Chevron’s announcement of the first LNG from the Gorgon Field produced at its liquefaction facility on Barrow Island. Several major Browse Basin projects are well underway, such as Shell’s floating LNG vessel, Prelude, due for installation in 2016–2017 and Japanese company INPEX’s $34 billion Ichthys project, projected to come online about the same time. This growth has driven demand for helicopter support services—transporting workers to oil and gas platforms, as well as construction, maintenance and search and rescue. As in the northern hemisphere, Bond Helicopters, Bristow and CHC are major players, with Bond securing the Chevron contract in late 2015; Bristow servicing INPEX’s Ichthys project and CHC contracted to the Shell Prelude project, as well as providing search and rescue and emergency medical services. Consideration of wildlife hazard management generally focuses on airports, but the oil and gas platforms and vessels that make up the distinctive landscape of oil and gas fields create unique challenges for rotary operators. As gas production in particular expands, so too does the demand for a larger fleet of modern helicopters. The Australia Petroleum Production and Exploration Association predicted a 57 per cent rise in expenditure on offshore helicopters in 2014–2018 compared to the previous five years, although this figure is likely to be much lower as reported in The Australian on 1 April. According to The Australian, a fifth of the 1900 helicopters used in the oil and gas industry worldwide are now idle or underemployed. Australia has a number of conventional gas platforms—in the Carnarvon Basin, for example, there are the older North Rankin A and B platforms, the Goodwyn A and Angel platforms, while the Browse Basin will be home to the revolutionary floating LNG (FLNG) platform built for Shell in South Korea. The Prelude FLNG, the largest floating vessel ever built, at 488 metres long and using five times the amount of steel in the Sydney Harbour Bridge, is due to be towed to Australia in 2016–17. With a staff of around 240, Prelude will be anchored to the sea floor 200 km off the coast of Australia for an estimated 25 years. Browse will also be home to the world’s largest semi-submersible which will be towed 5600 km from South Korea to INPEX’s Ichthys Field, where it is expected to have a 40-year production lifespan, delivering gas via an 883km undersea pipeline to Darwin’s Bladin Point. Some platforms are NUIs—the normally unattended installations. Unlike manned platforms staffed by fly-in, fly-out workers, helicopter traffic to NUIs is regular but infrequent, mainly for maintenance. While wildlife/bird hazards at airports are reasonably well known, and certified Australian airports must have wildlife management plans in place, with many employing wildlife ecologists to advise on and assist in implementing appropriate hazard management strategies, the situation is not as clear when it comes to offshore platforms. A 2014 study, Bird interaction with offshore oil and gas platforms reviewed 24 studies of bird-platform interactions, predominantly in the northern hemisphere, and found the ‘the impacts of these installations are poorly known’. The study did point to birds’ attraction to platforms, drilling rigs and support vessels as ‘roosting sites, foraging opportunities, and due to disorientation by, and attraction to, light sources’. Platforms create an ‘artificial archipelago’ of structures, providing places to roost and nest. These platforms also have the potential to create artificial reefs—places for fish and other marine life to shelter and breed—increasing their attraction for birds. With FLNG such as Prelude, with its ‘forest of yellow steel’ as one construction manager described it, expected to be in place for 25 years, the potential for it to become a reef ecosystem—an ‘island’ on which birds, migratory and resident, can rest and shelter, is considerable. 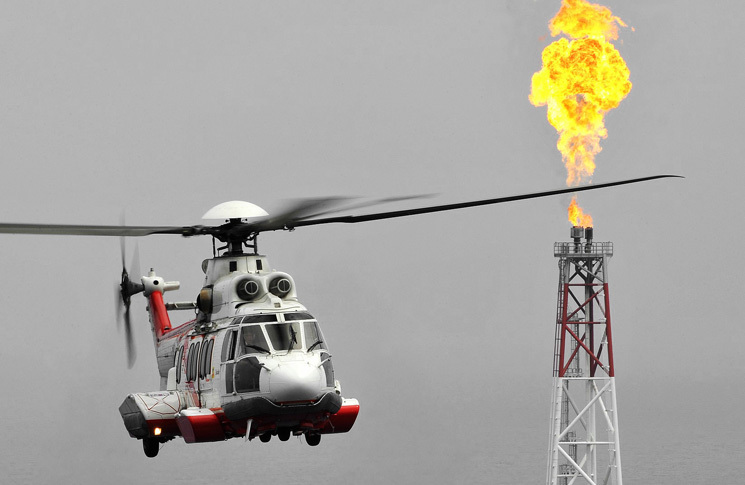 Bird attraction to offshore platforms affects helicopter operations in two main ways. Firstly, there is the ever-present danger of bird strike, especially at night. Many platforms are lit up like Luna Park, and flares used to depressurise excess gas burn with an intensely bright, bird-attracting light. Secondly, there is guano—the accumulated dung of seabirds—deposited on platform helidecks, especially NUIs, by roosting gulls and others. Guano is a hazard to helicopter operations because it makes the helideck slippery and reduces friction, fouls the helideck netting required (in some jurisdictions) for medium and heavy helicopter operations, and on NUIs especially, can build up to the point where it obscures lights and markings. As a helicopter pilot commented on a ‘Guano and helidecks’ forum: ‘I’ve landed on decks that had well over an inch of seagull s**t, along with the bones, fish scales and feathers that are always there’. 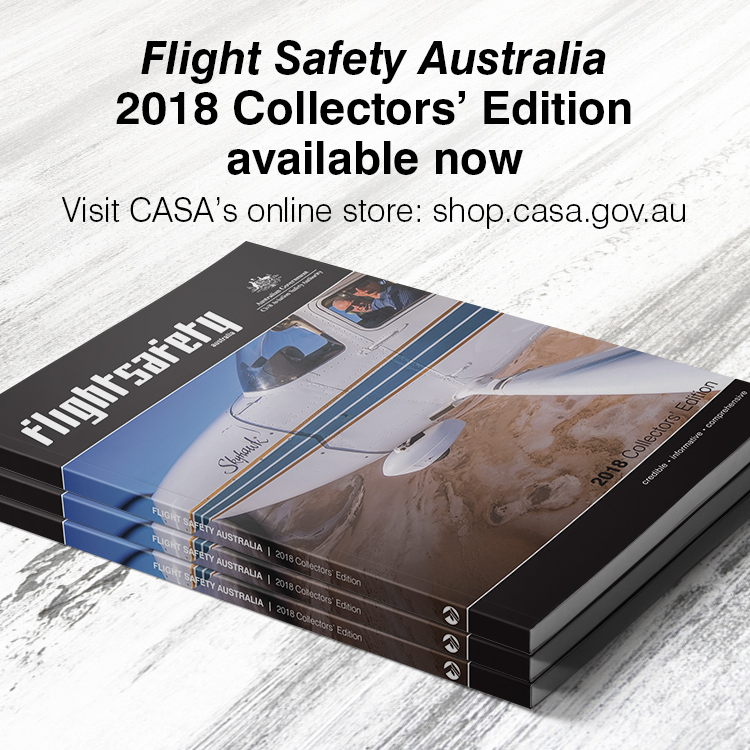 Last year, the Australian Aviation Wildlife Hazard Group (AAWHG) released a recommended practice focusing on the training and competency of flight crew. Captain Brian Greeves, an airline pilot and AAWHG committee member, is passionate about the need for pilots to understand and manage wildlife hazards as intimately as they know about the weather and cloud types, for example. Greeves, who worked on the practice, says that ‘civil pilots receive very little, if any, formal education and training in either identifying or dealing with wildlife hazards. This contrasts, he says, ‘with training received for assessing and avoiding other airspace hazards, such as wind shear, weather or a mid-air collision with other aircraft’. Phil Shaw, principal of aviation ecology company, Avisure, agrees. Birdstrike is ‘a mid-air collision issue—two flying targets colliding with each other’, not as many pilots see it, as an act of god, underplaying its significance. Gary Roach, an FAA helicopter safety engineer reinforces this, ‘citing the case of a helicopter pilot in the Gulf Coast region who was flying at about 1000 ft and 100 kt, when two ducks slammed through the windshield and hit him in the face. The pilot had so much bird gore on his face, he couldn’t immediately breathe or see. Some of his teeth were knocked out, his jaw wouldn’t close for a month and he needed stitches. But he still managed to land the helicopter without injuring any of the other five people on board. The report on the incident read: “Bird strike. Landing uneventful”,’ Roach said last year at a meeting involving the FAA’s rotary directorate. Knowing how birds are likely to behave will help pilots to avoid them. Shaw says that in many ways, rotary pilots are better placed to manage birdstrike risk. ‘A rotary pilot can get up and do a 360-degree, and perceive the current risk—they have more control,’ he says. Avisure is working with CHC Helicopters (Australia) to develop a wildlife hazard management plan for offshore oil and gas and EMS/SAR helicopter operations. Not only will the plan focus on airport operations, importantly, it will also provide flight crew with training on species identification, hazard warning checks, strike avoidance and strike reporting. CHC, who fly out of Broome, and who have the Shell Prelude contract, have already implemented some bird strike avoidance procedures, such as protocols on rate of climb (Vy) at specific altitudes and descent profiles, with increased vigilance crossing coastlines and known bird sanctuaries. The western coast of Australia is home to abundant birdlife, some resident all year round, as well as migratory visitors flying via the East-Asian Australasian Flyway route from Russia and Asia to Australia. Broome, which is a major base for resources industry activities, is also home to more than 300 species of birds—one-third of Australia’s species. This includes many species of raptors, including sea eagles, osprey and Brahminy kites, as well as 50 species of shorebirds, which represents one-quarter of the world’s total. These shorebirds gather in large numbers on the Broome coast; for example, 50,000 Oriental pratincoles were sighted on the claypans near Broome last year, and flocks of up to several thousand birds at a time leave Broome in March and April for their annual migration to the northern hemisphere. Barrow Island, the site of Chevron’s Gorgon project gas production facility, is also a Class A wildlife reserve, with 119 bird species listed, including larger raptors such as the white-bellied sea eagle, osprey and Brahminy kite. As a Class A reserve, the highest level of conservation protection available for Crown land in Australia, Barrow Island is subject to a very rigorous environmental regime. There is a strict quarantine regime in place for FIFO workers on one of the five or so scheduled Perth-Barrow Island flights operated to the airport by Cobham. This protected environment can create challenges for aviation: one industry insider described the ‘perfect storm’ when heavy summer rain created ideal termite hatching conditions, with massive swarms leaving the island’s iconic termite mounds, in turn attracting foraging birds. To the south of Barrow Island, a group of offshore islands includes the Serrurier Island Nature reserve, with a large wedge-tailed shearwater rookery, while opsrey, white-breasted sea eagles, Caspian and crested terns, also nest on the island. Further south, about halfway between Broome and Port Hedland, is Eighty Mile Beach. Recognised as a wetland of international importance under the Ramsar Convention on Wetlands, Eighty Mile Beach is one of the most important sites for migratory shorebirds in Australia. On 7 February, 2004, for example, an estimated 2.88 million Oriental pratincoles were recorded at the site. Bedout Island, 96km NE of Port Hedland, has large colonies of brown boobies, frigate birds, silver gulls and white-bellied sea eagles during the May-September breeding season. Australian resource industry operations tend to favour medium and heavy helicopters—the EC 225, the AS 332 (Super Puma), the Sikorsky S-76 and S-92 and the Agusta Westland AW 139. Following the well-publicised fatal crash in January 2009 of an S-76C ferrying oilrig workers to the Gulf of Mexico, when a red-tailed hawk smashed through the helicopter’s windshield, authorities have been examining helicopter windshield certification standards. The impact with the hawk ‘fractured the windshield, and interfered with engine fuel controls’, according to the National Transportation Safety Board report. The Sikorsky spiralled to the ground, killing eight of the nine on board. Current EASA and FAA certification standards (CS 29 and FAR 29) require helicopters weighing more than 3175 kg (7000 lbs) to be ‘capable of continuing safe flight and landing following impact with a single, one-kilogram bird’. Given the flocking nature of many of the birds discussed above, and their population numbers, (for example, silver gulls, each weighing about 400g), or the many larger seabirds such as the brown booby (900-1500g), osprey (1525g), and white-bellied sea eagle (2500-4200g), birdstrike involving these species would be above the CS 29 certification value. Unlike airliners and large fixed-wing aircraft where the incidence of serious birdstrike is dropping, according to Gary Roach, an FAA helicopter safety engineer, ‘we’re getting more severe damage (with helicopters), more frequent cases of birds penetrating the windshield (with the) risk of pilot incapacitation’. Plan to fly as high as possible. Only one per cent of GA bird strikes occur above 2500 ft.
Avoid flying along shorelines or rivers, especially at low altitudes. Birds as well as pilots find these useful navigational aids. Avoid offshore islands, cliffs and shallow estuaries, so as not to disturb nesting colonies. Helicopters cause more disturbance to bird colonies than fixed-wing aeroplanes. Birds do fly at night, and may be attracted by offshore platform lighting. Up to 80-90 kt, birds usually have time to get out of your way, but the higher the speed, the greater the chance of a strike. Consider wearing head protection. Wearing helmets, particularly in helicopters, has saved pilots’ lives. In mid- to late summer, the risk of a strike is at its greatest, because many inexperienced young birds are present. I had the honour of treating a pilot of a Beechcraft twin who took an eagle through the windscreen at around 2000ft on climb out from Derby WA. Fortunately, despite getting a cockpit full of windscreen, blood and feathers, he only sustained a minor laceration to the face and landed safely. Given the cool head required I was very pleased to have him as my pilot for FIFO clinics in the Kimberly. It is worth noting that bird strike can be an issue for driving in the region (or indeed a good deal of the Australian outback). Roadkill attracts a lot of scavengers. The commonest are black kites but wedge-tailed eagles are often on the carcass. The black kite does reasonably well for vertical takeoff but the noble wedge-tail has a very poor angle of climb and will often choose to take off across the road directly into the path of oncoming traffic at about windscreen height. The faster you are travelling, the worse the problem. Take care!